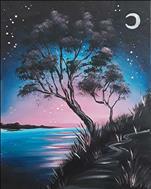 Painting with a Twist (PWAT) is a one of a kind, no experience necessary, art session! 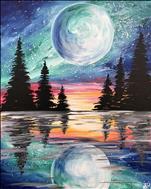 During a PWAT Roseville class you will not only paint a 16x20 canvas, you are encouraged to let yourself relax and enjoy the experience so you leave relaxed and happy! We have a blast in our classes as we create great art! 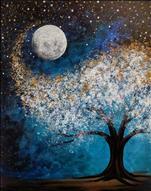 Your original artwork is ready to take home and be hung up that night! 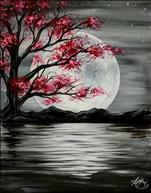 You will love this experience and surprise yourself with your hidden talents! Why View and like our Facebook Page? For the lastest fun and information about what is happening in the studio - and see for yourself the resuts we get in all of the class photos! A picture is worth 1,000 words for sure! Reservations are required in advance of the class time, we cannot guarantee registration for anyone at the door. All guests need a paid seat to stay on premises for the fun (except for 'Family Day' classes)! 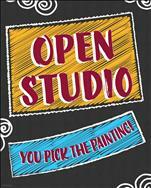 Get all the details about our studio and cancellation policy on FAQ page. We are located in the HarMar Mall in Roseville. Please note we are on County Road B (the north side of the mall) across from the Super Target. 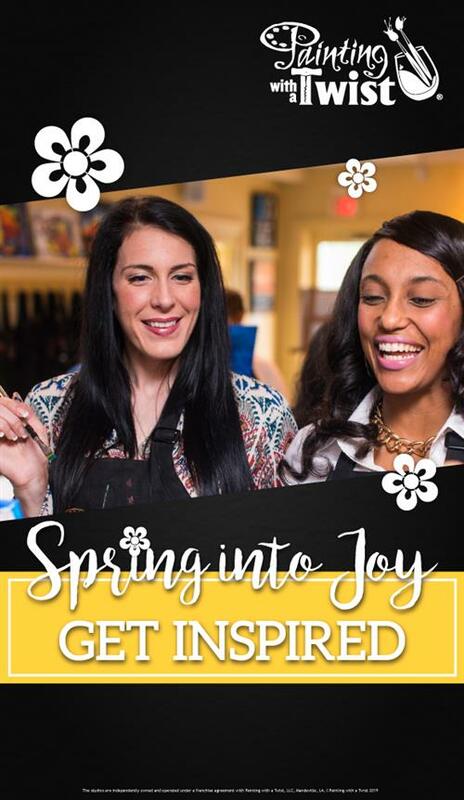 This is a great place to have fun with your friends, enjoy a date night, celebrate special events & holidays, or simply relax and embrace your inner artist! We have wine and beer available for purchase. You are not permitted to bring in any alcoholic beverages- sorry! All guests consuming alcoholic beverages must be at least 21 years of age with a valid I.D. See Class Description for Ages Allowed in Class. Our Evening Classes are intended for older guests and age restrictions for evening classes are as follows: Tues-Thurs 7-9pm 16yrs & up, Fri/Sat 7-9pm 18yrs & up. Details On FAQ Page. 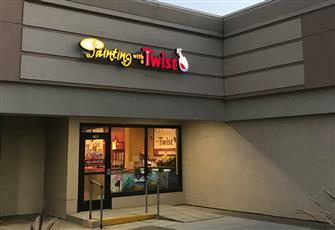 This Mother's Day, treat your mom to the best experience in the Twin Cities- Painting with a Twist Roseville! 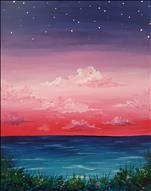 It's the best wine-and-paint sip and paint class in the Twin Cities, and it's no wonder why! 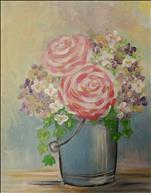 Painting with a Twist in Roseville offers fun classes for anyone that wants to have a great time. 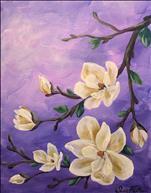 Painting with a Twist is the best sip and art painting class around - so bring your Mom in this Mother's Day and have a wonderful experience together. Make this Mother's Day one to remember! 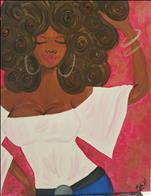 Paint, Sip, and FEEL GOOD! We knew it all along, but now it has been scientifically proven that painting can improve your mood. 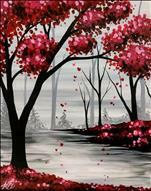 An article in Neuroscience News reports that people who come into a paint and sip class showed increased levels of Oxytocin, otherwise known as the "hugging hormone. Come in and find out for yourself!